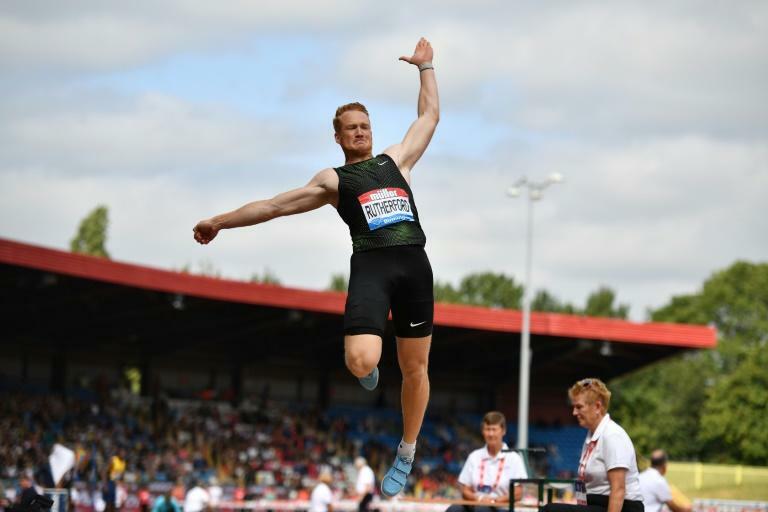 Former Olympic champion Greg Rutherford brought down the curtain on his glittering career at the Great North City Games on Saturday. Rutherford has decided to walk away from the athletics after struggling with injuries of late and the British star opted to use the Newcastle event as his swansong. The 31-year-old's final leap of 7.38 metres was not enough to claim victory in a mixed four-athlete field. But Rutherford, a gold medal winner at the 2012 London Olympics, still revelled in the opportunity to jump in front of a crowd one last time. "It was unbelievably overpowering. I was trying to laugh the whole way through then suddenly it hit me that I was standing on the runway for the final time," Rutherford said. "It's hard to explain that moment when you realise it's the last time you'll be doing something that you've always known and loved. "I was determined not to cry but it was hard, with such a wonderful occasion to go out on." By his own admission Rutherford has been in poor form for the last two years, beset by a series of injuries which convinced him his time at the top level is over. But he will retire having completed a clean sweep of major titles. Rutherford won gold at the European Championships in 2014 and 2016, while his World Championships win in Beijing in 2015 was the Briton's second best jump of 8.41m. That made Rutherford only the fifth British athlete to hold the four major titles simultaneously. Injuries hampered Rutherford's attempt to retain his Olympic crown in Rio 2016. "At least now I have put it to bed. If you dwell on it, it can eat you up," he said. "There is regret from the point of view that I'm rubbish now, but there is no regret that I had to find out. "Life moves on. I don't want to be defined in 30 years as the guy who jumped into a sandpit. I want to have other achievements."